Check the "Show brewery location" box on the Customize Digital Display screen to display beer locations. If a beer is brand new, or has not been tagged with the brewery yet, it may not display the location yet. We're constantly monitoring this and filling in any missing information for you. 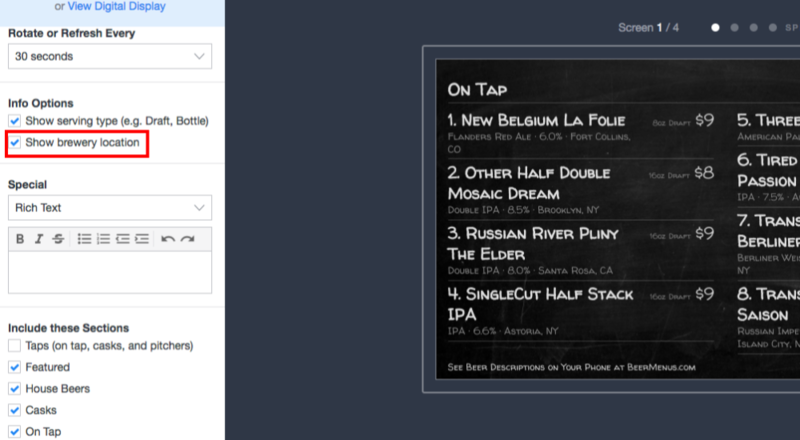 For immediate help with a specific beer, email support@beermenus.com, text 347-927-1574, or message us in the blue live chat bubble at the bottom right of the screen and we will update individual beers for you right away.